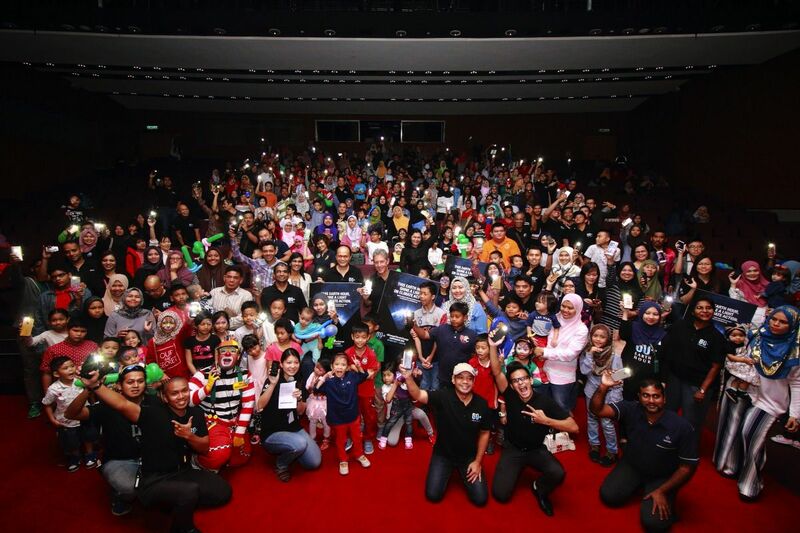 The Kuala Lumpur Convention Centre’s (the Centre) General Manager, Alan Pryor (centre holding a placard) and the Centre’s Director of Facilities, Chen Soo Yoong (centre holding a placard) with close to 420 team members and their families during the venue’s seventh Earth Hour gathering. The Centre joined millions of people and organisations worldwide in “going dark” on 25 March from 8:30pm to 9:30pm, in support of World Wildlife Fund’s Earth Hour. During the event, the venue not only turned off all non-essential lights but held a variety of interactive activities to further educate team members and their families on nature, the environment and the Earth Hour initiative. Pre-event, the Centre also created a ‘green quiz’ which was circulated among team members with the top four submissions winning a prize. Pryor continued that the Centre was also pleased to join more than 68 AEG Facilities-affiliated stadiums, arenas, theatres, clubs and convention centres in 36 cities, seven countries and four continents to celebrate their commitment to the environment under the AEG 1EARTH programme’s mission to reduce the organisation’s environmental impact and drive business value through sustainability.